Stonehenge tours from London are widespread. It is not surprising that a multitude of people wish to explore the history of this enigmatic structure. Scholars still appear to be no closer to uncovering the purpose of Stonehenge, and reams of visitors have attempted to fathom its mystery. What sets Golden Tours’ Stonehenge tours apart from our competitors is the quality and the range we have available for the visitor, including Stonehenge-Bath-Windsor, Stonehenge-Bath-Salisbury, and Stonehenge-Oxford tours. Alternatively, if you wish to just marvel at the grandeur of Stonehenge and are limited on time, then our Simply Stonehenge tour is the ideal option for you. Stonehenge has given rise to an immense amount of debate from its very beginnings. Theories proliferate as to why it was built; from the belief that it was used as a religious temple to claims it may even be a Bronze Age burial ground. A Golden Tours’ Stonehenge tour is remarkable. Take advantage of the exclusive opportunity to enter into the stone circle, and even touch the stone that has been the product of such contention. 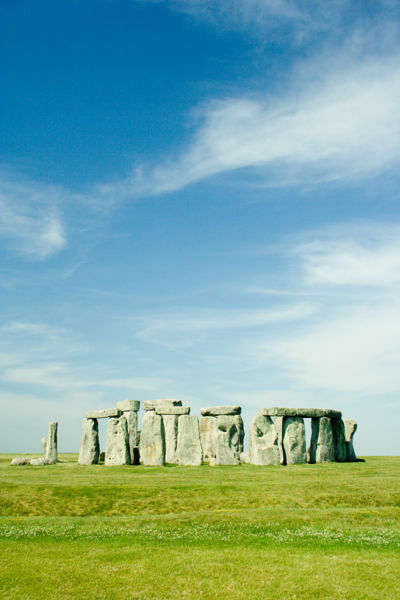 Take a Stonehenge-Bath-Windsor day tour from London for a genuinely exceptional experience. Bath is a city of ‘firsts’, incredibly rich in history. Bath Abbey held the first coronation of a British king in 973 AD and Bath was the first city in England to be granted status as a World Heritage Site. Uncover why more than a million visitors a year come to marvel at the best preserved Roman baths from the ancient world. If you hold any interest whatsoever in grandiose architecture or royal history, you are bound to be impressed by Windsor Castle. Be astounded by the sheer majesty of the State Apartments, and visit St George’s Chapel. Formidable St George’s Chapel holds a very distinctive atmosphere, as it is the resting place for many past famed monarchs. Queen Mary’s Dolls’ House was made with awe-inspiring attention to detail and delicacy and is well worth examining. Our Stonehenge-Bath-Salisbury guided coach tour allows you to sample the glory of Salisbury. The remarkable spire of imperious Salisbury Cathedral stands at an immense 123m (404ft). Indeed, it is the tallest spire in the whole of the UK. Also a historically significant cathedral, the Chapter House is home to one of the best preserved copies of the incredibly momentous document, the Magna Carta, which you will be lucky enough to view first-hand on this Golden Tours’ Stonehenge tour. For the ultimate historical and academic experience, take a Golden Tours’ Stonehenge-Oxford tour. Following a visit to awe-inspiring Stonehenge, traverse the university town of Oxford, a picturesque, quaint city that holds an outstanding reputation. Celebrated for over 900 years as a pinnacle of academic distinction, trail in the footsteps of its notable students; from Oscar Wilde to T.S. Eliot to Stephen Hawking. Take in the world renowned Bodleian Library and the captivating courtyards of different colleges. Golden Tours’ Stonehenge tours allow you to uncover the atmospheric edifice of Stonehenge, and become immersed in its fascinating history. Exclusive to Golden Tours, enter into the stone circle and touch the stone, knowing you are traveling back centuries. For the ultimate experience, however, try a Stonehenge-Bath-Windsor, Stonehenge-Bath-Salisbury, or Stonehenge-Oxford tour. All of these cities have their own distinctive, singular charms, and are sure to leave you enraptured. Take a Golden Tours guided coach tour from London for a truly memorable experience.